Too Good, Superb charging,Headphones & Amazing camera,water drop display and very good performance. Vivo V 11 Pro made my life simpler with providing me with ultimate features in just one Smart phone which fulfilled my need of even a lappy, its performance with dual rear camera is superb and also the front camera has several filters to play with and have some good memorable pics. The processor of the phone is its real usp making it a quicky to function and at the gaming point. The battery life is highly durable and works till long hours, the sound quality is also super sonic with great support at making HD videos with 10180p quality built-in. It has been a handsome purchase for me . Do go for it its worth the money to be spent. i have been using this couple of months and i don't have words to explain the qualities of this. 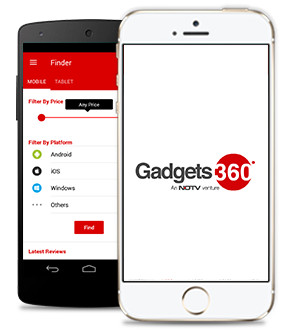 thanks gadgets360 you are marvellous as delivered this under lowest price. I never had any opinion about VIVO and OPPO. After a discussion with my friend, I checked V11 Pro over POCO F1 as I'm an ardent Xiaomi Fan. The specs were amazing except the processor. However V11 pro handles the apps like a charm. I play Asphalt 9 often and the performance is always great. Camera is decent. It makes me look too white and you never get the natural look. Selfie lovers are taken care of with several features and 25MP front camera.Low light capabilities are worst and the processing algorithm works worst under few conditions. When digital zoomed, it smudge the faces and it was too worst in back lit conditions. HDR works decent.